By Marshall Thompson on April 25,2015. Tagged under Servers, Mail, Tech. Using Mandrill's excellent email sending service with a self-hosted Ghost blog is really quite simple. 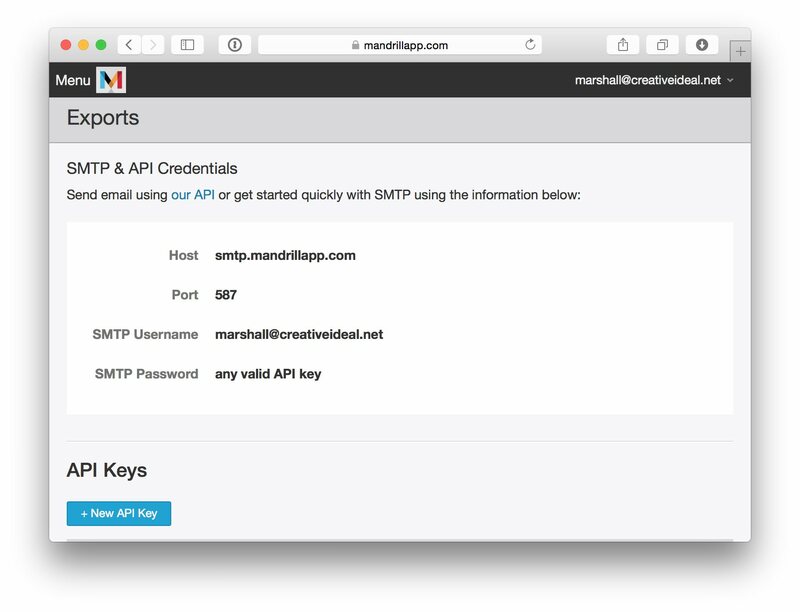 Now get your API key information from your Mandrill settings. You'll have to create a new API key if you haven't done so already. Upload the new config to your server and don't forget to restart your Ghost app's service when finished. Powered by Ghost made on planet earth.